Laughter is the best medicine…. Hello again blog friends….. I got some very good advice yesterday… I was told to just simply relax and laugh a little 🙂 I’ve been having a bit of a pitty party lately… and it’s time to call an end to it so I have decided to take this advice literally. 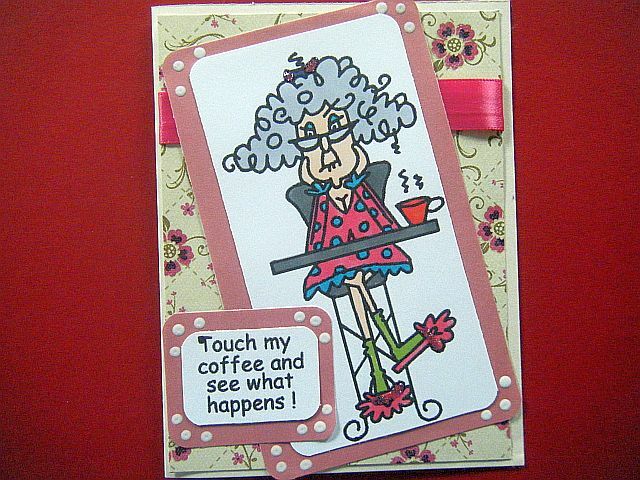 These silly cards are SURE to give you a laugh! …. LOL! Now come on! 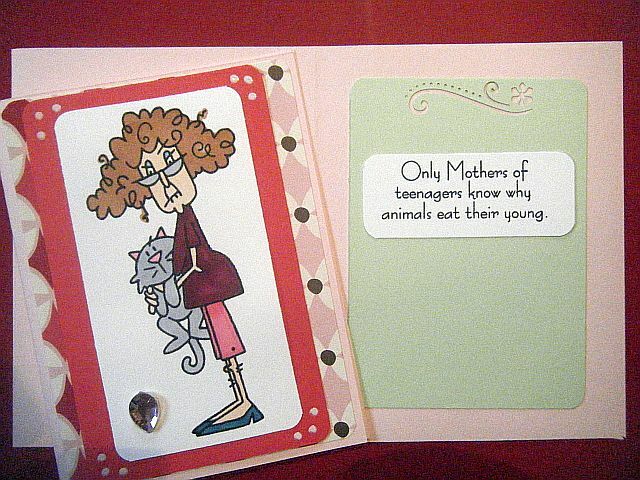 That is such a funny sentiment!! Kim from The Cutting Garden sent me home with three stamp sets from Stampalicious! 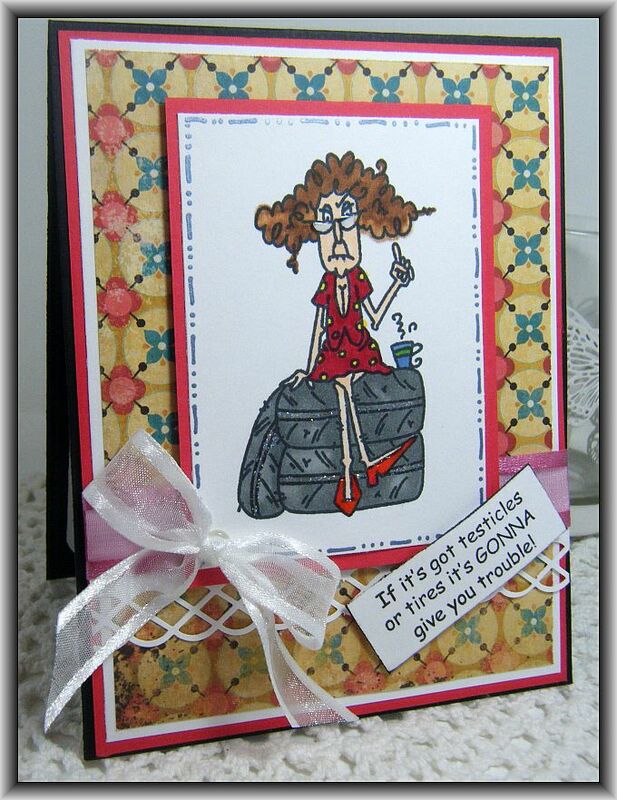 to play with and it certainly cheered me up making these fun cards! This one is the definition of Mantastic! *roll eyes* These stamp sets are so fun and I am so excited that Kim has decided to stock them at The Garden! 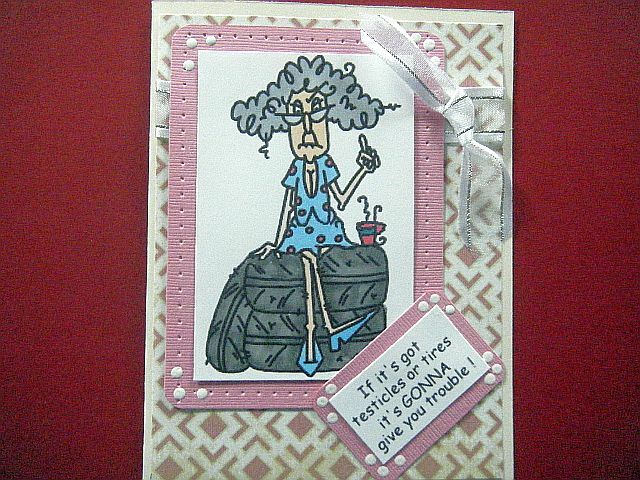 Over in Diane’s alphabet challenge I have been totally MIA and I am entering all three of these cards for her challenge this week, I believe she is on the letter V so I think these will pass as VERY Funny 🙂 Hope she approves!! 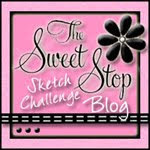 Categories All Occasion, Birthday - Female, Birthday - Male, Blog Challenges, Cards, Friendship, Funny! 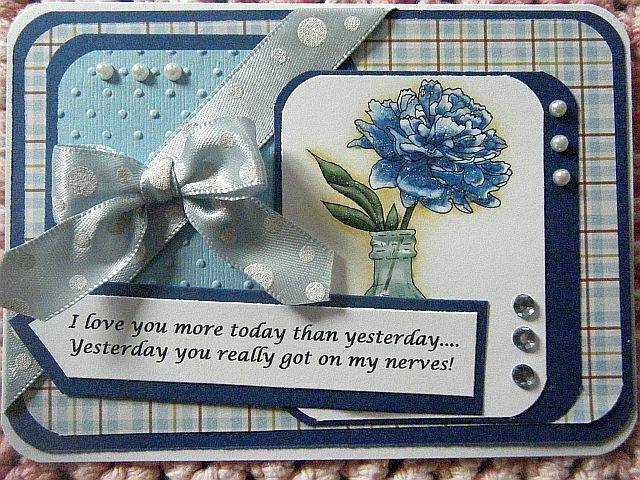 I love you more today than yesterday….. The flower is a pre colored image from Fred She Said. 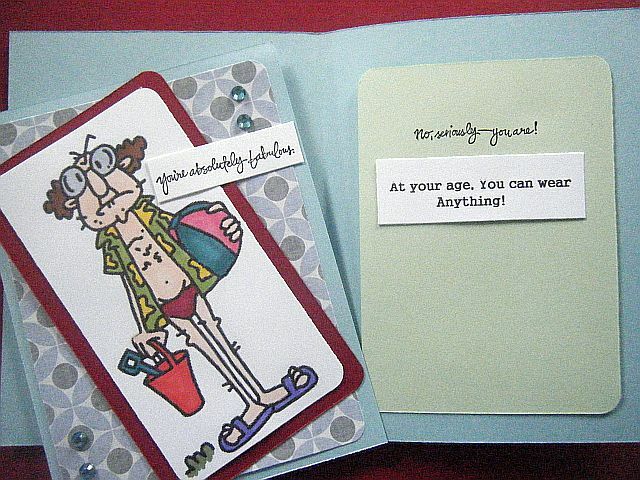 I am entering this card in the Splitcoast Sketch Challenge this week. 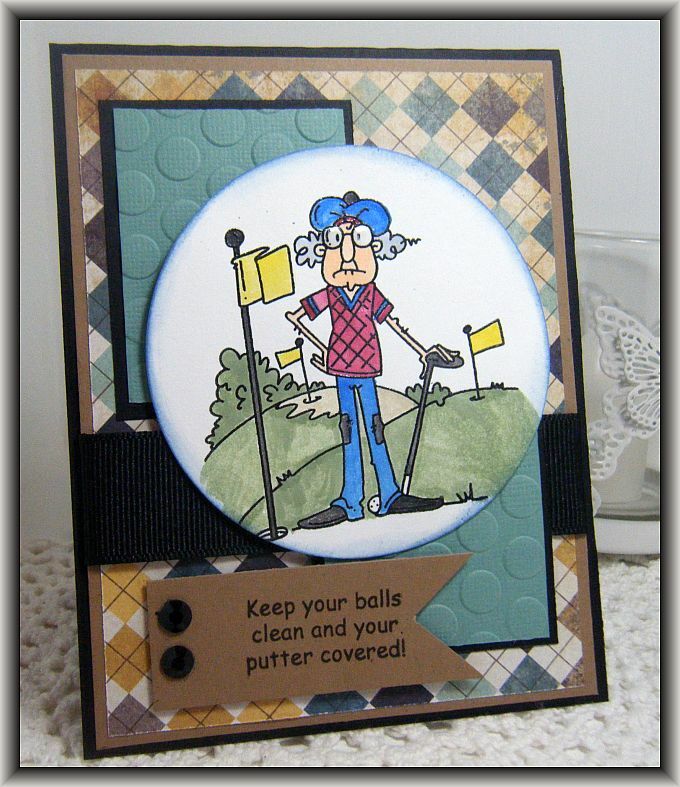 Another fun little note card…. 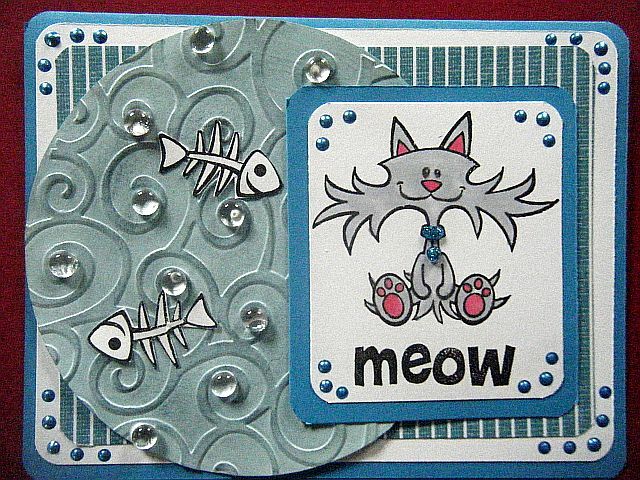 Categories All Occasion, Cards, Friendship, Funny! 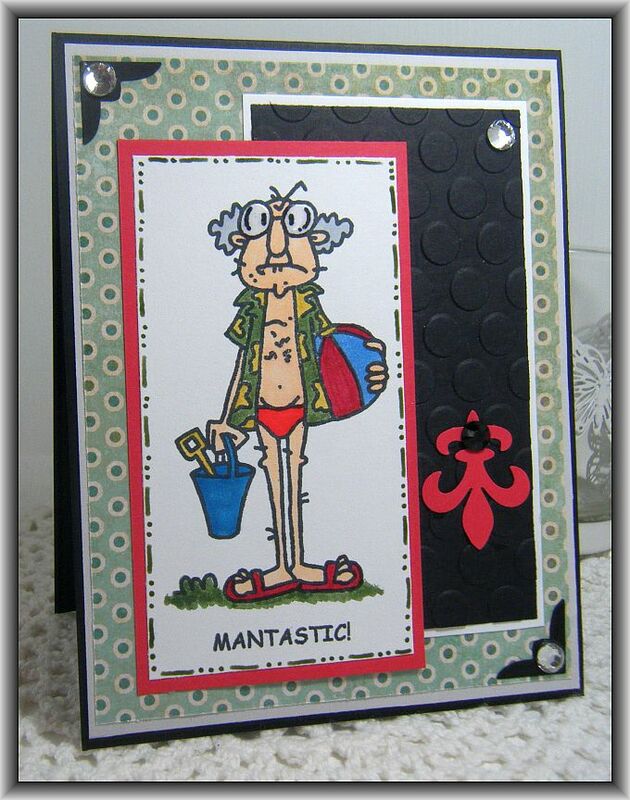 Categories Birthday - Male, Cards, Funny!